See a video review of Le Vamp and my reflections on the lovable French vampire kid. Last year saw the release of Le Vamp for iOS, Android, and Blackberry devices. 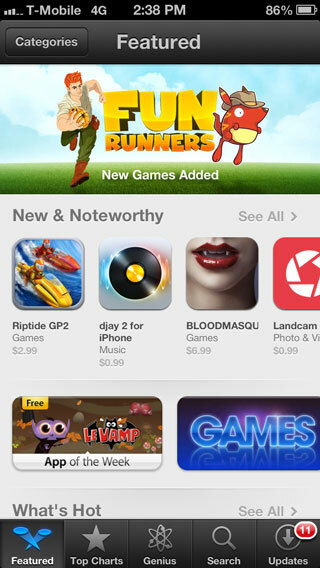 Since then millions of players have downloaded the game, which Apple also featured as their App of the Week. When people ask me about the game’s success, two things come to mind. First, the art style. It’s cute, it’s gothic, it’s flat, it’s colorful… we had a fantastic 2D/concept artist that really honed the game’s consistent look. Second, we did something different design-wise. 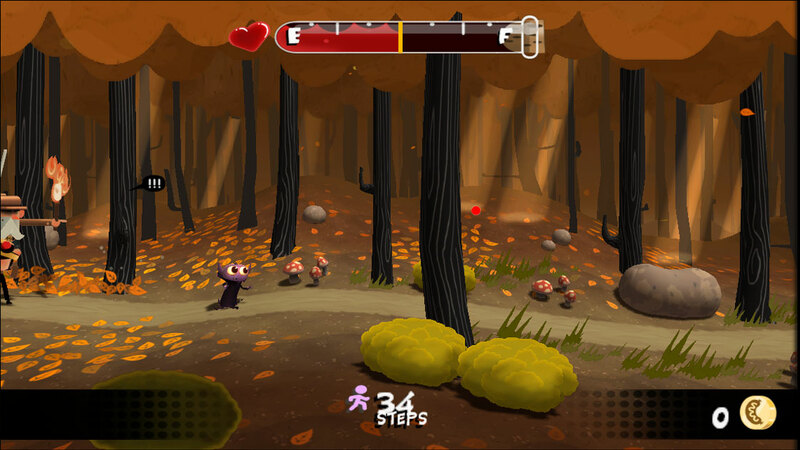 Whereas in other endless runners the player steers a character out of harm’s way, in Le Vamp the player is the character’s guardian. 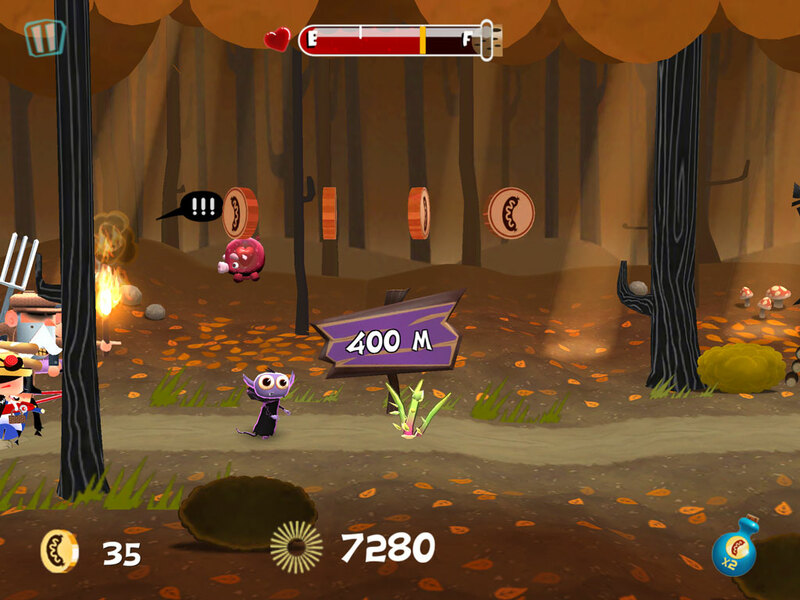 The titular kid vampire runs carefree through the forest, and you must dismantle the obstacles in front of him. I’ll spare you the full post-mortem, but the game went through a lot of iteration to get to its present form. This Pixar short-style video wasn’t just to promote the game. It was actually my first introduction to Le Vamp, too. The artists made this video before we knew what kind of game Le Vamp would be. It introduced the characters we knew we’d have – Le Vamp, the Blood Pigs, Spudzy, and Le Wurst – as well as the visual and musical direction. It was this piece that actually cemented Le Vamp as a new internal brand. As time went on, we prototyped different kinds of gameplay. 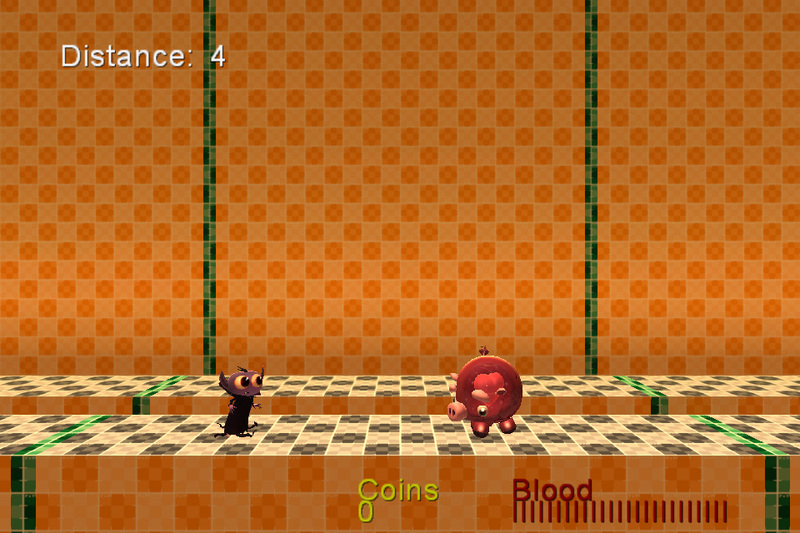 In this early screenshot, you’ll note the primitive text-based blood meter I hacked together. At this point the blood meter was like a fuel tank, constantly draining until it empties or Le Vamp eats a blood pig. This got confusing when we introduced the enemies, which hurt Le Vamp if he hits them, and the mob running after him. Do we add a health meter that’s separate from the blood meter? And does the mob’s proximity merely reflect the blood meter, or is it a separate variable? We knew it was important that the player understand the core gameplay the first time they play, so in the end the blood meter became a discrete measure of how many ‘hit points’ Le Vamp has left. As you might expect with a company’s first attempt at a mobile game, the engine and technology also threw us some curveballs. For the first months, we used Infernal, an engine we’d used on past projects. Infernal was familiar, it had some nice features, and the game looked great. But memory and performance were an issue, and the pipeline for building on iOS wasn’t really ready when we needed it. We were spending time making an increasingly polished demo we knew we couldn’t ship. So, although we lost a bit of visual fidelity (like the bloom effects seen here that gave the forest a subtly soft, magical quality), in the end switching to Unity was the right decision.